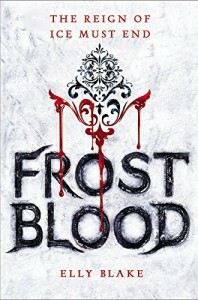 This fantasy novel revolves around ruby, a Fireblood, who can generate heat and fire, living in a world dominated by Frostbloods who generate ice and cold and persecute the Firebloods. She gets involved in a conspiracy and finds allies and enemies all around her. Betrayal and dark forces are at work. The characters are reasonably developed but are a bit predictable. Like a lot of similar books, there's a fair amount of introspection which can be repetitive. Quite good but not really enough for the seasoned fantasy fan although there's some originality.